Shoal Bay Scuba - Caribbean & Co. 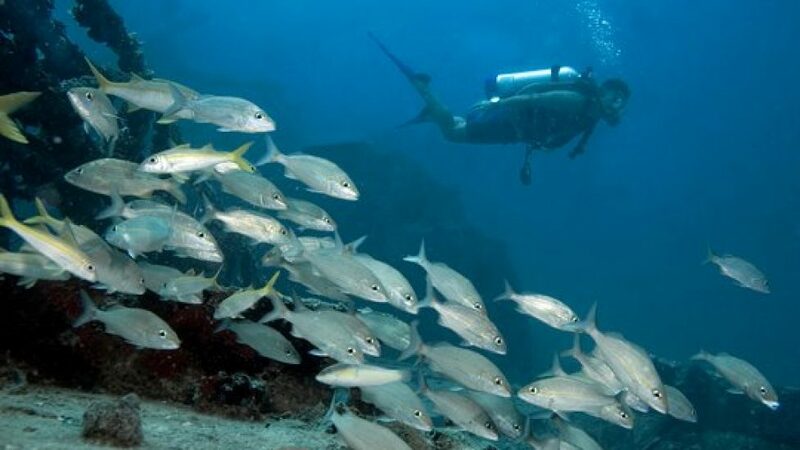 When it comes diving, you will not find a better Caribbean destination than Shoal Bay Scuba in Anguilla as there are plenty of options available for you to enjoy. You should find that there are two separate locations for you to enjoy. There is the PADI Dive Resort Centre which is located in the West End of the island and this is ideally situated close to a number of major hotels. This centre provides a wide range of diving and scuba equipment which can be bought or hired out. The location is found at Roys Bayside Grill, which is in the Sandy Ground area. This is the Scuba Shack area so if you are keen to find out more about scuba diving and having some underwater fun on your holiday, this is the destination for you. The reason that the Shoal Bay Scuba team is the number one choice in the local area is down to the fact that the team has been operating for a considerable amount of time. The team has more than 21 years’ worth of experience of fiving and this means that you can rest assured of getting the best guidance and advice. There is nothing dangerous or scary about snorkelling or scuba diving, as long as you receive the best level of guidance and advice. There is a great range of snorkelling and diving locations to be enjoyed within a 15 to 20 minute boat journey from the shacks. There is also the opportunity to explore wrecks and with 6 wrecks in the local vicinity, there is more than enough choice and variety on offer. Anyone who is staying in Anguilla for a reasonable amount of time will have the chance to vary what they see during their stay. One of the things the team likes to impress on guests is that they offer a very low ratio for instructors and team members to guests. This means that everyone can feel safe and as though they are getting tremendous value for money in the service they have hired. The Shoal Bay Scuba team is more than happy to offer private dive charters and there are plenty of private snorkel charters to look out for as well. There is even a chance to hire a private fishing charter if you are looking to catch some fish with just your friends or family members. All of these activities can be booked in advance providing you with the best opportunity of having some fun and enjoying yourself in the best possible way.